Long-term care insurance buyers choose the amount of the benefit they want to buy. Benefits are expressed as a daily benefit amount—a stated dollar amount paid for each day that long-term care services are needed. For instance, a policy could provide for a benefit of $200 a day, $150 a day, or $100 a day—the amount is up to the buyer. The greater the benefit amount, the higher the policy’s premium. 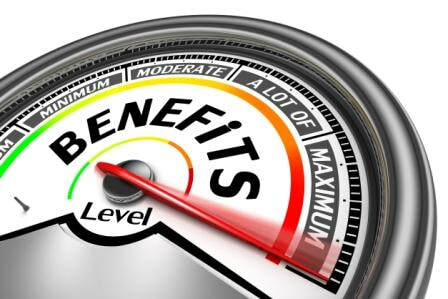 Many policies today specify their benefits in terms of a monthly amount rather than a daily amount. This provides more flexibility to the insured by acknowledging that the cost of care can vary from day to day or week to week. An insured who receives care at home, for instance, may incur higher expenses on some days (such as when a family member or friend is not available, unless the family member or friend works for a home health care company as a care giver), and less on others. In comprehensive policies, the full benefit generally applies to facility-based care, and the benefit amount for home-based care is typically defined as some percentage of the full benefit amount (typically 50 percent). Therefore, if a policy provides a full daily benefit of $150 for facility based care, the daily amount that would be payable for home-based care would be $75. A long-term care policy’s benefit period defines the length of time the policy will pay benefits. State laws generally require long-term care insurance policies to provide for a benefit period of at least 12 months. Typical benefit periods offered by insurers range from two to five years. Some insurers offer an unlimited, or lifetime, benefit period that will pay benefits for long-term care services for as long as the insured receives such services, until he or she dies. Naturally, the longer the benefit period of a long-term care insurance policy, the higher the premium will be, because the insurer is liable for payment of a larger total benefit. The elimination period under a long-term care insurance policy is the length of time insureds must wait before policy benefits become payable although they are receiving covered long-term care services. The elimination period is sometimes called the waiting period. It is also called the deductible period because it represents the insured’s share of a long-term care claim. A policy may define the elimination period in different terms depending on the type of care the insured is receiving. For nursing home care, it is expressed as a number of days’ residence in the nursing home. For example, a 30-day elimination period would mean that the insured must pay the cost of the first 30 days spent in a nursing home, and the LTC insurance policy would begin paying benefits on the insured’s 31st day as a nursing home resident and thereafter. For home care, it is expressed as a number of home care visits provided in the insured’s home. For example, a 10-visit elimination period would mean that the insured had to pay for the first 10 home care visits, and the long-term care insurance policy would begin paying benefits for the eleventh and subsequent visits. how long the insured can afford to pay long term care costs out of pocket—For example, assuming long-term care costs of $250 day, an insured would have to pay $7,500 out of pocket if a 30-day elimination period were selected and $22,500 if a 90-day elimination period were selected. how low the insured wants the premium to be—Because the elimination period represents a period of time during which the insurer is not liable to pay benefits, the longer the elimination period is, the lower the policy premium will be.